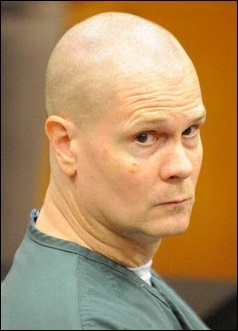 One year from now, December, 2017, Richard J. Wershe, Jr., known in the media as White Boy Rick, will learn if his nightmarish life sentence for a non-violent drug conviction handed down when he was a teenager, will come to an end. It may continue. It’s anybody’s guess. Between now and then people who support Wershe may have an opportunity—at last—to express their opinion in a public hearing. Richard J. Wershe, Jr.’s file in the Michigan Department of Corrections says he’s due for parole consideration in December, 2017. A lot can happen between now and then. Much depends on fairness and integrity within the Michigan Parole Board. On its face, the Michigan parole system is an orderly process. Scratch the veneer of that process and you’ll find politics—and plenty of it. The Michigan Parole Board, ten ex-prosecutors, sheriffs and career employees of the Michigan Department of Correction appointed by the Governor, by default tilts toward swallowing whole whatever a county prosecutor tells them about a given inmate up for parole. There’s a presumption of truth in whatever a county prosecutor tells the board about whether an inmate should be paroled. Sometimes county prosecutors don’t object to parole for an inmate. In those cases, the granting of parole goes smoothly. But in other cases, if a prosecutor objects, the road to parole can be very rocky indeed. That’s what happened to Rick Wershe in 2003 when he was eligible for his first parole hearing. The office of then-Wayne County Prosecutor Michael Duggan waged a full-scale effort to sabotage Wershe’s parole. It included a scathing letter from Duggan claiming Wershe was an unredeemable menace to society who should remain locked up for the rest of his life. There are many “never minds” about the Wershe case, but it hasn’t mattered. In 2003 the Michigan Parole Board held a parole hearing for Wershe that resembled a kangaroo court. There were numerous stunning inconsistencies but the Parole Board had no curiosity about any of them. Wershe’s 2003 “hearing” appeared to be all for show. They denied his parole. Regular readers of Informant America know there appears to be a vendetta by the corrupt Detroit/Wayne County political machine to keep Wershe in prison until he dies for helping the FBI successfully prosecute politically connected corrupt cops and the drug-dealing brother-in-law of the late Mayor Coleman Young. As Ralph Musilli, Wershe’s attorney, succinctly puts it, Rick Wershe told on the wrong people and he cost them a lot of money. 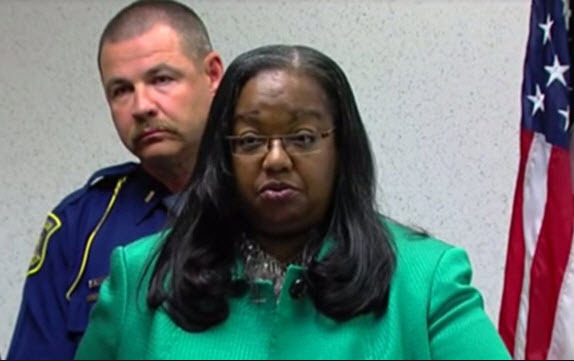 It is reasonable to wonder if current Wayne County Prosecutor Kym Worthy, who owes her career to the corrupt pols of Detroit and Wayne County, is continuing the vendetta by fighting aggressively to block Wershe’s release from prison. Wershe was last up for parole consideration in 2012. In early July of that year he was sent a formal notice that stated he was scheduled for a Parole Board interview on August 20, 2012. In 2012 the Michigan Parole Board initially indicated on the record that they intended to interview Rick Wershe, Jr. for possible parole. Later that month, on July 23rd, notice was sent that Wershe’s parole interview was being canceled. The notice stated “The majority of the board has no interest in taking action at this time. Less than a month later, the Parole Board reversed itself and canceled Wershe's formal interview, thus dashing his hopes for parole for at least five more years. There was no explanation, no reason given. The Parole Board, which does as it pleases with no oversight, with no accountability, doesn’t have to give a reason. Did someone with political juice within the criminal justice system persuade the board to turn Wershe down again for parole? We have no way of knowing. All we know is they scheduled his next parole interview for December, 2017. So sometime next year, Wershe’s 29th in prison, in a closed-to-the-public session, the Parole Board will again decide whether they want to consider Wershe for parole. Five years will have passed since the last time they voted “no interest.” If they vote “no interest” again, that’s that. He will be flopped to serve another five years before the next parole consideration. Attorney Musilli calls it serving a life sentence five years at a time. If the Parole Board shows some interest next year in considering Wershe for parole, a single parole board member will interview him and share the results of that interview with the rest of the Board. A dossier will be prepared for the full board detailing all of the information about Wershe, good and bad, in the prison system files. Lifer cases must be considered by the full board. A hearing, a public hearing, will be scheduled. By law this requires two public notices be posted. This is a 60 day process. Since Wershe’s file calls for a December, 2017 review, the process will likely begin around June. During this time, the prosecutor in the county where Wershe was convicted, Wayne County, will have an opportunity to remain silent and let the parole hearing go forward without objection, or notify the Parole Board they intend to object to Wershe’s release. Wayne County Prosecutor Kym Worthy has withstood mounting criticism from the public and from the media for fighting to keep Wershe in prison. This past August she caused a stir in some media circles by announcing she might re-consider her position on Wershe since he was convicted as a juvenile. Then again, she might not. It was a total non-statement and it appears to have been intended to get the media off her back without doing anything about Wershe’s life sentence. Only Kym Worthy knows what position she will take regarding parole for Rick Wershe next year. The Michigan Attorney General gets a say in the matter, too. Like the Wayne County Prosecutor, the Michigan AG has opposed Wershe’s parole, citing the same erroneous and unsupportable information that sank his chances in 2003. One more official gets half of a say, too. That’s Wayne County Circuit Court judge Dana Hathaway. 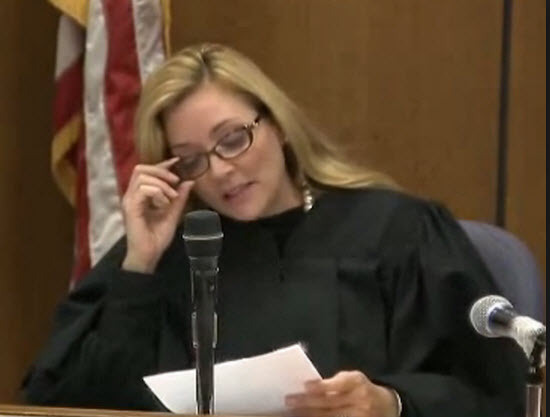 She’s the judge who took over his case file when his original trial judge retired. Under the rules, she can object to Wershe’s parole but she can’t recommend parole. In other words, she only has input if she objects, which is not likely. Last year Judge Hathaway made it clear in an opinion and ruling that she thinks Wershe’s sentence ought to be reduced to time served. Kym Worthy fought that all the way to the Michigan Supreme Court. Unfortunately, Judge Hathaway’s opinion won’t be part of the Parole Board’s deliberation process. A key element for the Parole Board is a review of the positives; why Rick Wershe should be released on parole. They want to know if he is a good “risk” to be allowed to return to the community. This is where his supporters can make a difference. At the appropriate time a campaign for letters of support will be in order. The goal will be to blitz the Parole Board with letters of support for Rick Wershe. He had a few letters of support at the 2003 parole hearing. A few hundred or maybe even a few thousand letters of support in 2017 would have an impact. If he gets a public hearing, possibly next fall, it would be an opportunity for all of those who say they believe Wershe should be set free to show up en masse and show the Parole Board that a substantial segment of the community believes this man has done enough time, that he should be paroled. Ideally, for Rick's sake, it should be standing room only. To borrow a current buzz word in politics, the optics would be powerful.